Our kitchens pre-built and solid backed carcass units are made to your exact requirements giving you maximum choice of style, shape or colour. Kitchens are the heart of the home so you want a good one! Bathrooms are one of the rooms in our properties we take the most pride in. 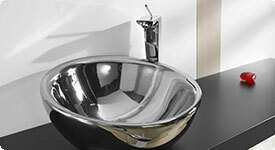 Our bathroom suites carry a 25 year manufacturer’s guarantee. With the latest designs and a wide range of materials available, make your bathroom completely unique and create a work of art. We often don’t notice our plumbing until it goes wrong. Here at Wisecraft Builders Bolton, we can get you sorted enjoying hot water in no time. Our team are all time served & fully qualified. Our electricians are NICEIC registered and our plumbing and heating engineers are Gas Safe registered.